The SXSW Music Conference and Festival is one of the largest and most influential music events in the world. This massive music mecca takes place every March in Austin, Texas, an artsy progressive city known as the “Live Music Capital of the World.” Although Texas has a long history of musical legends, Austin gained most of its fame from 1970-1980 when it was the home of the Armadillo World Headquarters, a world renown concert hall hosting many of the eras most famous bands. After the demise of the Armadillo World Headquarters and years of building on the revolutionary heritage of the seventies, SXSW was organized in 1987 by a small group of friends working at the local entertainment newspaper. The festival now expands across two weeks and includes separate festivals for film and interactive technology. 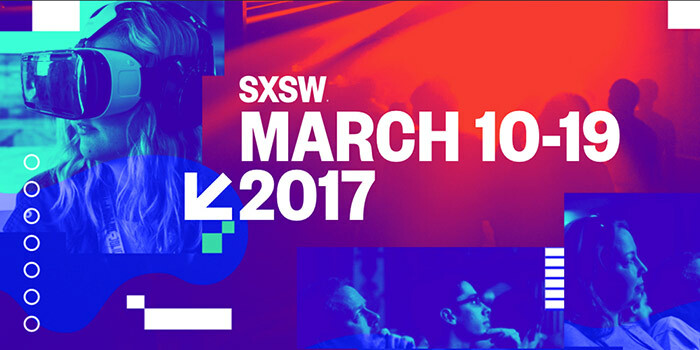 SXSW attracts high profile VIPs disseminating cutting edge music industry knowledge while providing unparalleled networking opportunities. Nearly 90,000 registrants attended the festival and trade show in 2016. In true Austin style, other non-SXSW events also spring up all over town to appease music loving locals wanting to avoid SxSW chaos and for those who cannot afford high priced badges and wristbands. It is not surprising SXSW may be the largest music conference and festival in the world. Texas is known for all things big. In 2016, over 2200 bands from 67 countries performed in local bars, clubs, parks, churches, hotels, grocery stores, and laundromats. For two weeks, downtown Austin becomes an un-imaginable alternate reality bringing in $325 million dollars to city coffers. Think of Rototom Sunsplash (Festival in Spain) as a microcosm of a much larger music event. Interestingly, nearly every imaginable genre is showcased either as an independent artist or hosted by a major corporation or record label. Even so reggae music has only never been acknowledged at a respectable level until this year. I am shocked to also learn few reggae industry leaders have any knowledge of SXSW or what it can do for established or uprising talent. Is this the result of an uncaring government that continuously ignores opportunities to brand Jamaican music or the fact that Jamaica still does not have the industry movers and shakers who unite talent with opportunity? In the past five years, a highly recognized movement known as the Reggae Revival has evolved offering much more than a new burst of young musical talent in Jamaica. It has redefined the rightful place of roots reggae and its origins. “The Revival” burst through with a collective of intellectual and professionally trained artists comprised of singers, players, visual artists, technology experts, photographers and other supporting attributes and quickly exploded onto a world wide platform. Their fame grew quickly across the globe. More so than the country they hail from. If in doubt, one only needs to research the fan base of the Reggae Revival artists as they continue to pack major festivals in Europe, Africa, Australia, Japan, and finally, the United States. Their impact on Africa is huge. The Afrocentric mindset of the Reggae Revival movement has been embraced by those across the world who feel challenged by their place in humanity. Even more important is these artists have infused the spiritual and cultural philosophies of Rastafari into their lyrical and spoken messages ensuring a forward education of the mystical roots of reggae. Roots reggae is alive and well. It is revolutionary at a time when the world hangs on to a deeply increasing need of hope and faith. Jah9 says it well, when spirituality is most in need, music steps in to bridge the gap. 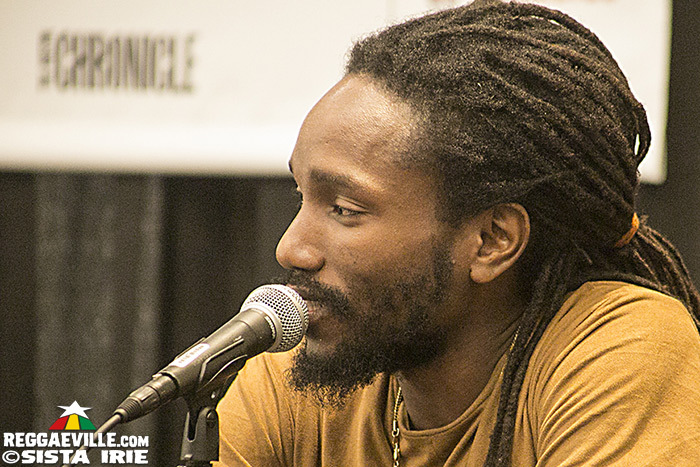 Panel members included Walshy Fire (Major Lazer), Jah9, Kabaka Pyramid and Aaron Dolores. Many reggae industry supporters and contributors were also in the audience including Dejazmatch Kwasi (Jamaican Music Conference), Lloyd Stanbury (Jamaican Entertainment Attorney and author of Reggae Roadblocks), Karen Mason (former music record executive), Dutty Bookman (author, sound system dj and originator of the term Reggae Revival), El Puru (photographer), Pentateuch Movement, I-Taweh, Koro Fyah, Rochelle Bradshaw, (reggae singer), Angela Tharp and Moe Monseratt (Flamingo Cantina owner and reggae band leader), DJ RJ (KAZI host and reggae musician), Sista Irie (Conscious Party radio host, photojournalist, executive director KOOP radio), Morgan Heritage and many others I was unable to identify. 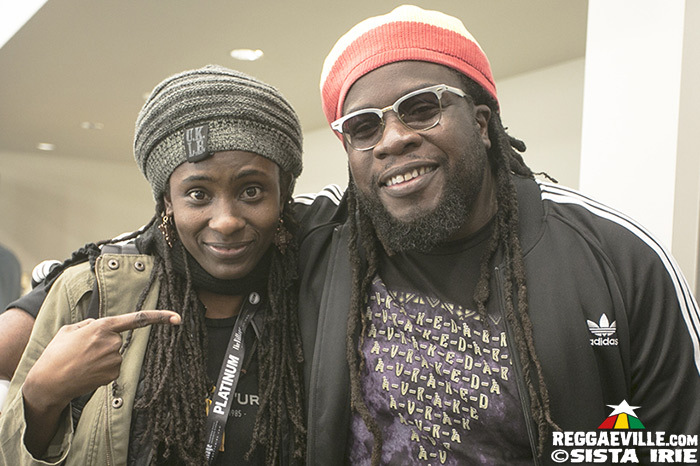 The Reggae Revival panel was filled to capacity. The panel reflected deep philosophical thinking by the artists. Kabaka Pyramid described the purpose of todays young Jamaican roots artists as “speeding up the collective evolution as human beings.” He discussed the challenges if one depends on DJs and radio stations to play reggae music outside the regular formula that most often includes songs of poverty and love. Kabaka’s special blend of hip hop and reggae is not embraced by all reggae fans. Kabaka says it is up to the Reggae Revival artists to push the music to the people their own way. Social media has been the most successful. Walshy Fire adds that one of the greatest assets of these artists is they don’t wait for others to do what is needed. The movement includes a wide variety of supporting services from videographers to publicists who step right up and carry out essential timely follow up. 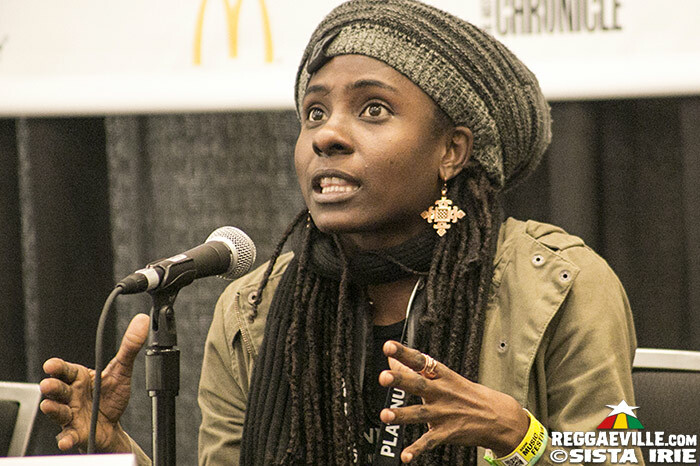 Jah9 described the new young artists as a collective that considers the holistic nature and balance of life while remaining true to themselves. She strongly emphasized they are less influenced by trends in the music industry. She documented the lack of recognition for women at the root of the revival and the work they have done to balance spiritual energies and to neutralize male egos. She emphatically states it is the teachings and works of His Imperial Majesty as the main reason this movement exists. It is the profound recognition of Selassie, not just in a religious sense but as a man who created a blueprint for nation building and for character building. The devotion to the teachings of H.I.M. is the most crucial factor that holds the collective Reggae Revival community and fans tightly bound to each other with responsible accountability. Walshy Fire clearly believes getting the music to people outside the reggae music industry is key to furthering the movement. His Mixtapes are famous but it is his work with Kabaka where the innovative work transitioned more to a mixed album. 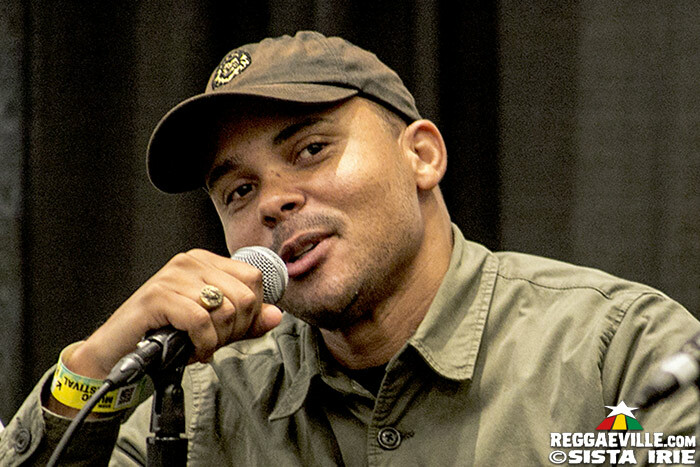 Walshy is emotionally charged with the idea of expanding the mixed album idea and would like to create one with a mix of Jamaican, African and Polynesian reggae artists.